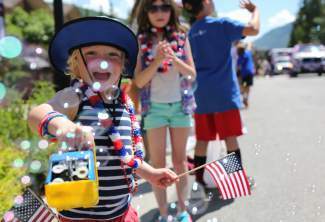 Gage Gros unleashes bubbles on West Meadow Drive during the Vail America Days parade Monday. This year's theme was the Spirit of America. 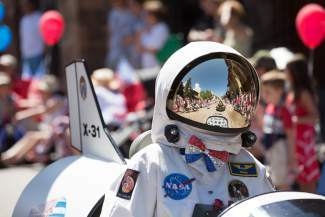 An astronaut's view of the Vail America Days parade shows West Meadow Drive packed with people dawning red, white and blue Monday on the Fourth of July. 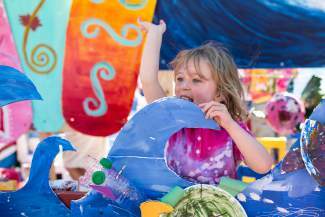 This year's theme was the Spirit of America. 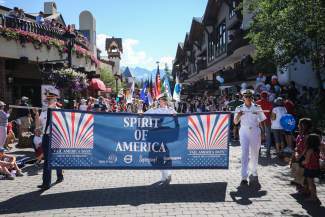 Veterans carry a banner dawning the Vail America Days theme for the Fourth of July parade down Gore Creek drive on monday. 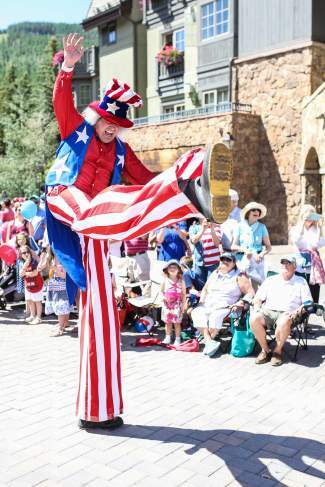 A patriotic leg kick from a stilted parade participant brings smiles to the 2016 Vail America Days Fourth of July parade on Monday. 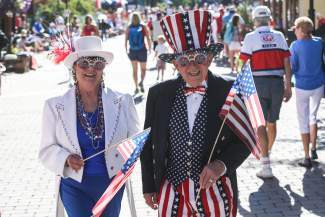 Michael and Francie Gundzik, of Denver, set the bar for patriotic apparel Monday during the Vail America Days Fourth of July parade. 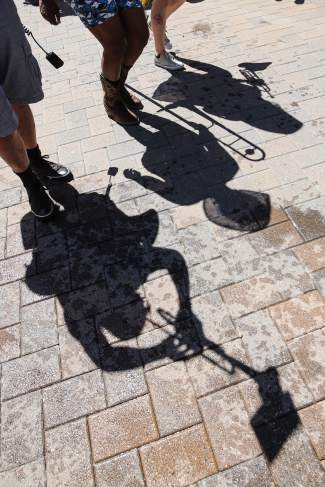 A marching band parades through the streets of Vail during the Vail America Days celebration on the Fourth of July. 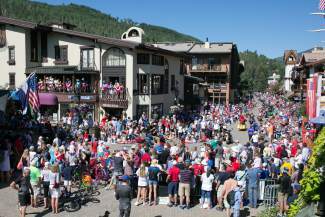 The streets of Vail are packed with people during the Vail America Days Fourth of July Parade. 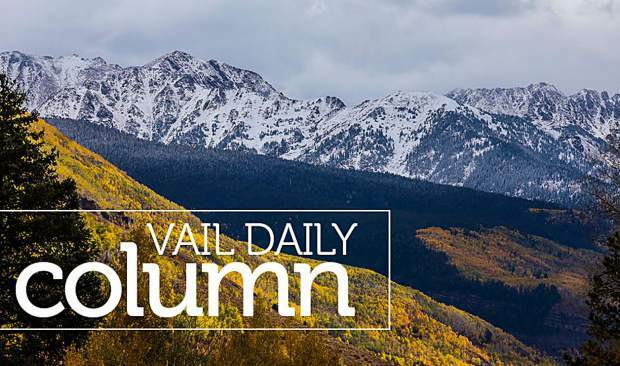 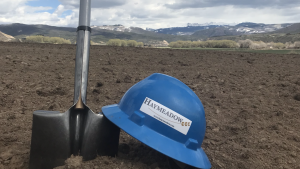 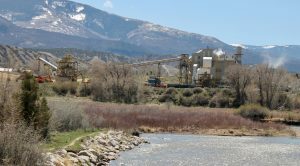 The Fourth of July is one of the busiest days of the year for the town of Vail.